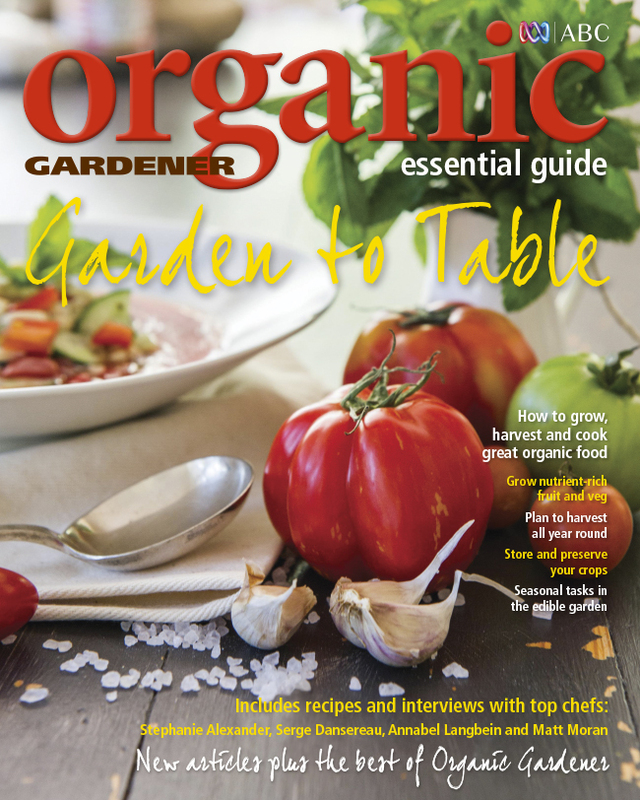 Organic Gardener Essential Guides are invaluable resources - brand new articles plus the best from Organic Gardener magazine. 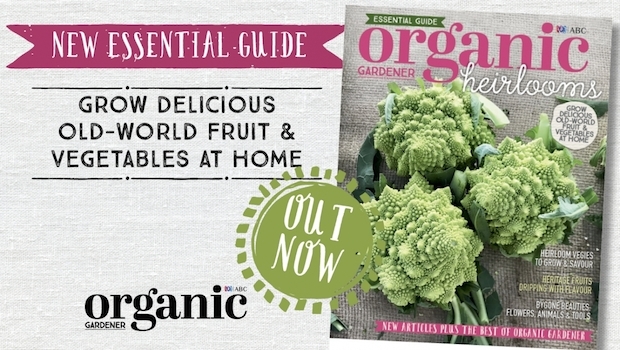 In the latest edition of ABC Organic Gardener’s Essential Guide we celebrate the incredible bounty of old-world fruit and vegies. Known as heirlooms, they’ve been grown for centuries around the world. From 900-year-old ‘Purple Dragon’ carrots, to apples and oranges that arrived with the First Fleet, we show you just how easy it is to grow your own, and recommend the best cultivars for your patch. Plus, we share the delights of bygone beauties: there are old-fashioned flowers to grow, rare chooks and pigs to rear, and hand-forged tools to lighten your gardening load. 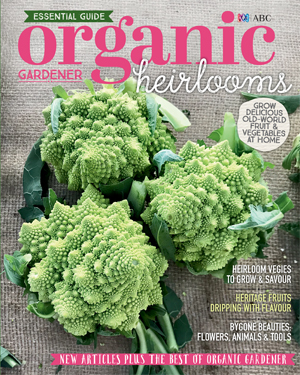 The 132-page ABC Organic Gardener Essential Guide: Heirlooms is on sale in newsagents from 5 July 2018, and costs $10.99. 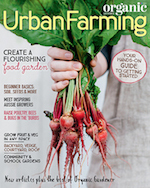 ABC Organic Gardener Essential Guide: Urban Farming invites you to join the urban food-growing revolution. It includes everything you need to know to get growing in any space, from gardening basics (soil, seeds, worm farms, watering) and success stories from around Australia to ‘farming’ animals. ABC Organic Gardener’s Essential Guide: Permaculture Made Easy puts permaculture into plain English. 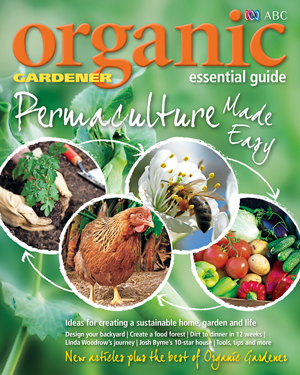 Getting started in permaculture is made a lot easier, with the publication of Permaculture Made Easy, the 11th in the ABC Organic Gardener Essential Guide magazine series. With writers including Linda Woodrow, Josh Byrne and Phil Dudman, Permaculture Made Easy features the in-depth information, inspiring photography and stunning design that are the hallmarks of the Organic Gardener Essential Guide series. 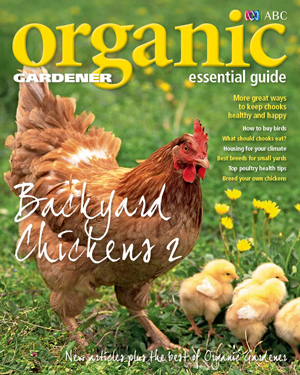 Following the sell-out success of 2013’s magazine hit, Backyard Chickens, comes yet more chook-house wisdom in the form of the ABC Organic Gardener Essential Guide: Backyard Chickens 2. Backyard Chickens 2 offers common-sense advice for beginners and more advanced poultry keepers alike. With writers including Megg Miller, Alanna Moore and Peter Cundall, Backyard Chickens 2 features the in-depth information, inspiring photography and stunning design that are the hallmarks of the Organic Gardener Essential Guide series. 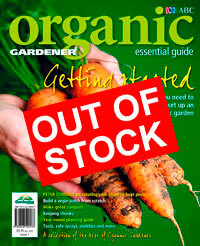 Want to learn more about growing, harvesting and cooking your own organic food? 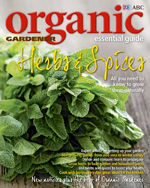 The latest in the acclaimed ABC Organic Gardener Essential Guide series has the answers. In Garden to Table, discover how to plan, nurture, pick and enjoy a backyard bounty all year round, and get inspired by recipes from some of Australia’s top chefs. Garden to Table features the in-depth information, inspiring photography and stunning design that are the hallmarks of the Essential Guide series. 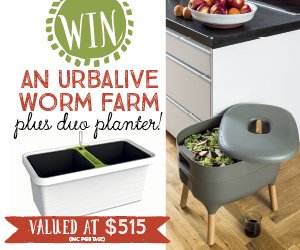 Want to grow organic food in your own backyard - but don’t know where to start? 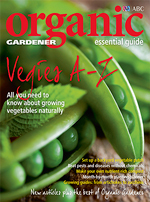 The latest in the acclaimed ABC Organic Gardener Essential Guide series has the answers. 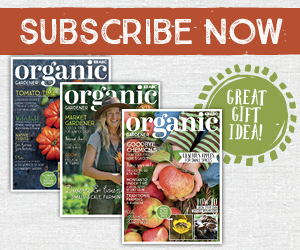 In Organics for Beginners, Australia’s leading organic gardening writers come together to give novice green thumbs a helping hand. Peter Cundall, Jerry Coleby-Williams, Penny Woodward, Phil Dudman and others answer all those questions you were afraid to ask. 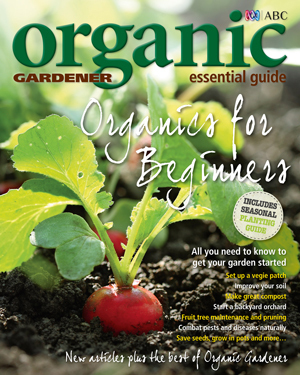 Organics for Beginners features the in-depth information, inspiring photography and stunning design that are the hallmarks of the Essential Guide series. Which came first, the chicken or the egg? 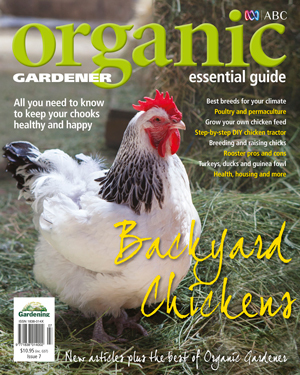 We may not have the answer to this one, but we can tell you just about everything else you need to know about looking after poultry in this issue of our Organic Gardener Essential Guides. Expert writers, including Paul Healy, Megg Miller, Alanna Moore and Josh Byrne, come together in the seventh of the Essential Guide series to give comprehensive advice on choosing a breed, housing, feeding and incorporating chickens into an organic backyard. There are stories on chicken health, growing your own feed, breeding and raising chicks, plus tips on keeping other poultry including ducks, geese and turkeys. 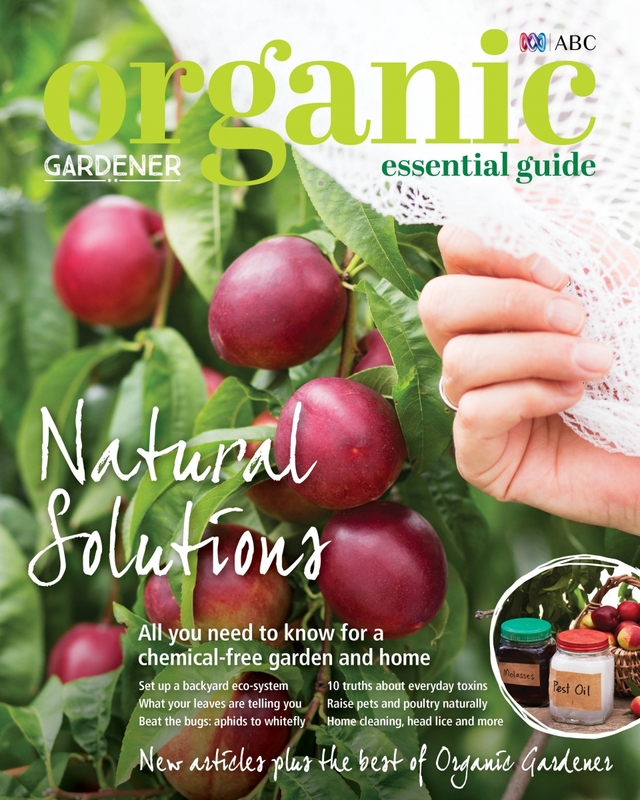 Explore the backyards of Peter Cundall, Jerry Coleby-Williams and Josh Byrne, as well as many more exciting gardens, in the sixth edition of the popular Organic Gardener Essential Guide series: Inspirational Gardens. Inside, you’ll also find lots of tips from the experts, plus a step-by-step guide to designing your own dream garden, whether it be a balcony, suburban backyard, country retreat or even a farm. Plus there are features on other inspiring patches of dirt across Australia and beyond, from Indira Naidoo’s high-rise balcony vegie patch in Sydney, to organic gardening writer Penny Woodward’s block in Victoria, to South Australia’s successful 30-year-old permaculture farm, the Food Forest. The fifth in the popular Essential Guide series, How to... brings together some of Australia’s best gardening writers in one volume. 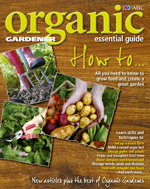 With expert advice on dealing with pests and diseases naturally, building compost bays, pruning fruit trees and much more - How to… is a comprehensive, must-have guide for every organic gardener. Some of Australia’s top gardening writers – including organic gardening icon Peter Cundall and herb expert Penny Woodward – explain how to grow more than 50 herbs and spices; design a herb garden; use herbs and spices to keep pests out of garden and home; make herbal teas, syrups and infused oils to tackle common ailments; incorporate herbs and spices into everyday cooking; dry herbs naturally and store them in the kitchen; propagate plants easily. 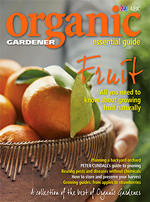 ABC Organic Gardener Essential Guide: Natural Solutions puts pests under the microscope. From aphids to whitefly we look at non-toxic ways of tackling the little critters, as well as many of the diseases that can afflict our plants. Plus we show how to get harmful chemicals out of the home, with tips for cleaning, feeding pets, tackling the kids’ head lice and more. Covering everything from artichokes to zucchinis, Australia’s favourite gardening experts show you how to successfully grow vegies for maximum flavour and goodness. Peter Cundall shares his secrets on growing delicious tomatoes & root vegetables. Annette McFarlane dishes the dirt on potatoes & cabbages. Penny Woodward talks aspargus & celery. And Jerry Coleby-Williams reveals all you need to know about controlling pests and diseases - without nasty chemicals. 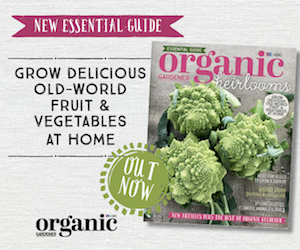 A definitive guide, all about growing fruit organically, whether in an inner-city courtyard or a rural orchard. Peter Cundall, Annette McFarlane, Jerry Coleby-Williams and Phil Dudman offer advice on everything from planning an orchard to pruning; and tackling pests to preserving. Illustrated with beautiful photographs, Essential Guide: Fruit also offers detailed growing advice for popular fruits from avocados to strawberries. A compilation of articles by some of Australia’s top gardeners giving all the secrets of starting an organic vegie patch from scratch. Inside this special edition, Peter Cundall and Jerry Coleby-Williams tell how to keep pests and diseases at bay. We explain how to produce great compost, raise chooks, use mulch and grow herbs. 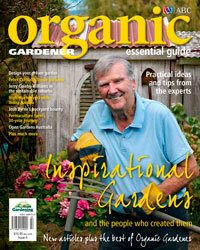 Plus there’s a year-round planting guide and stories on three terrific organic gardens. Imagine - fresh, healthy vegies and herbs at your doorstep daily.